IRVINE, Calif.--(BUSINESS WIRE)--The minions of Hell have grown unfathomably strong since Diablo® III’s release, but lucky for the High Heavens, reinforcements are on the way. Later this year, Nintendo Switch players the world over will join the fray with the Diablo III Eternal Collection™ and wield their systems’ portable power to slay demons and amass vast hoards of loot anytime, anywhere. 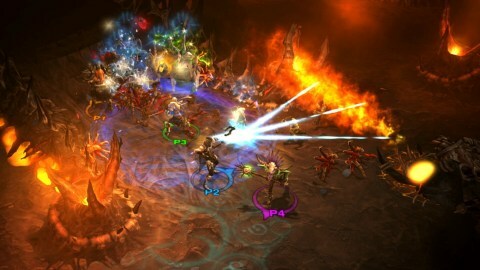 Information in this press release that involves Blizzard Entertainment's expectations, plans, intentions or strategies regarding the future, including statements about Gamescom, Fan Expo and PAX West and the availability, release dates, features, and functionality of Diablo III Eternal Collection, are forward-looking statements that are not facts and involve a number of risks and uncertainties. Factors that could cause Blizzard Entertainment's actual future results to differ materially from those expressed in the forward-looking statements set forth in this release include unanticipated product delays and other factors identified in the risk factors sections of Activision Blizzard’s most recent annual report on Form 10-K and any subsequent quarterly reports on Form 10-Q. The forward-looking statements in this release are based upon information available to Blizzard Entertainment and Activision Blizzard as of the date of this release, and neither Blizzard Entertainment nor Activision Blizzard assumes any obligation to update any such forward-looking statements. Forward-looking statements believed to be true when made may ultimately prove to be incorrect. These statements are not guarantees of the future performance of Blizzard Entertainment or Activision Blizzard and are subject to risks, uncertainties and other factors, some of which are beyond its control and may cause actual results to differ materially from current expectations. 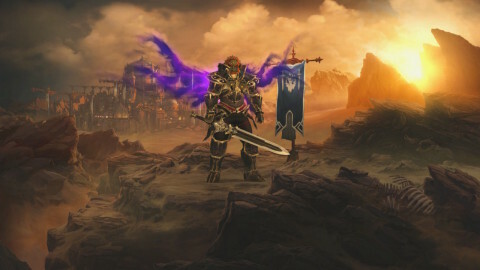 Later this year, Nintendo Switch players will join the fight to save Sanctuary with Blizzard Entertainment's Diablo III Eternal Collection™.